The captain of the cargo ship “Arctic Sea” claimed the vessel belonged to North Korea. But, DPRK denied this, Russia’s Foreign Ministry says. It also says no suspicious cargo was found on board. The captain of the carrier that went missing unexpectedly stated that his ship was, in fact, the North Korean vessel “Chongdin-2,” the Ministry said Tuesday in a statement posted on its website. 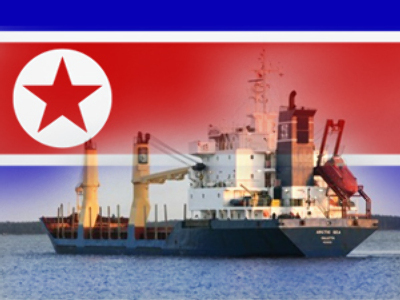 "The same day, the Russian Embassy in Pyongyang contacted North Korean officials in order to confirm the statement by the captain… that it was the ship Chongdin-2 which belonged to a North Korean ship owner and was en route from Havana to Sierra Leone with a load of palm timber," the statement claimed, as quoted by Interfax. According to the statement, the North Koreans said that at the moment the suspicious ship was detained, the cargo ship “Chongdin-2,” which belongs to the DPRK, was moored at an Angolan port. The Foreign Ministry also says no suspicious cargo was found during a search conducted shortly after a Russian warship intercepted the freighter in the Atlantic near Cape Verde, but that a more thorough search is planned. The ministry issued the statement hours after a report on Tuesday quoted Russia's top investigator as saying it was possible the Arctic Sea was carrying more than just timber when it left Finland last month with a Russian crew. The vessel, with four crew members on board including the captain, is currently being escorted by the frigate “Ladny” to Russia’s Black Sea port of Novorossiysk for further inspection.